Item # 304631 Stash Points: 1,595 (?) This is the number of points you get in The Zumiez Stash for purchasing this item. Stash points are redeemable for exclusive rewards only available to Zumiez Stash members. To redeem your points check out the rewards catalog on thestash.zumiez.com. Get set up with the most neglected part of anyone's wardrobe, socks. From Stance, the Hysteria Teal Crew socks not only look good, but feel good, thanks to the reinforced heels and toes. 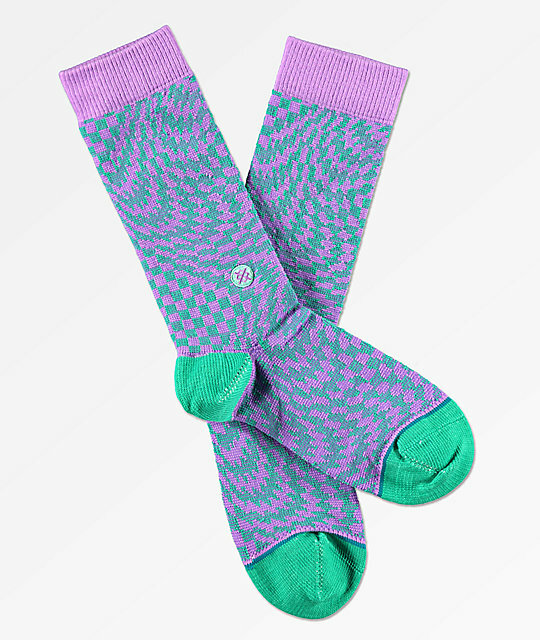 Featuring a unique teal and purple colorway, these socks are as comfortable as they are dazzling. Stance Hysteria Teal Crew Socks from Stance.